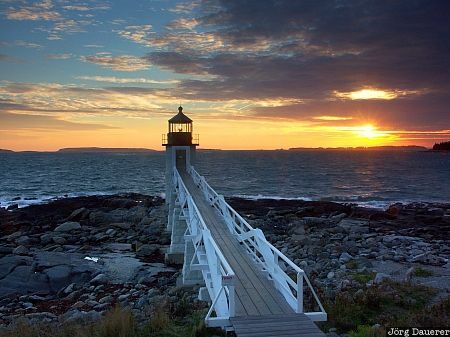 A spectacular sunset behind Marshall Point Lighthouse (Port Clyde lighthouse). Port Clyde is in central Maine at the east coast of the United States. This photo was taken in the evening of a cloudy day in November of 2004. This photo was taken with a digital camera.